"Lacey Lady's" control surfaces after the team stripped them of their fabric. 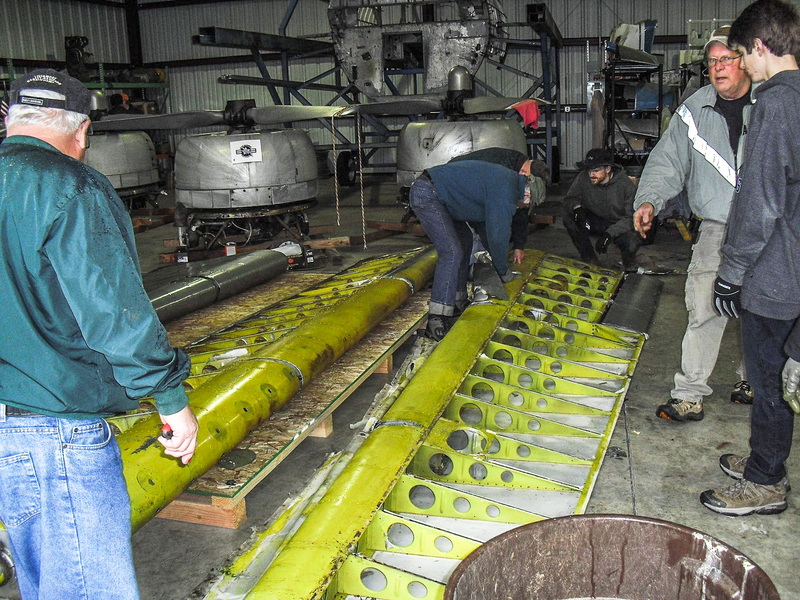 Warbirds News received a brief update from the B-17 Alliance Group on progress with the restoration of their B-17G “Lacey Lady”. 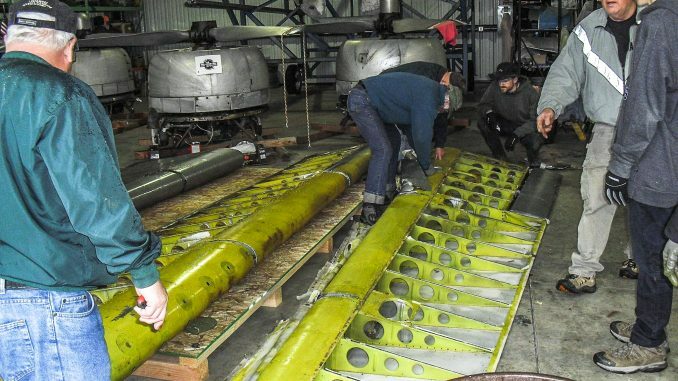 During a recent work party, volunteers stripped the fabric off the Flying Fortress’s rudder and elevators, which revealed a remarkably well preserved set of control surfaces. The team also continued with their parts inventory catalog, a laborious but vital task in any successful restoration project. The project is set to begin a fundraising campaign through Indiegogo very shortly to help raise the funds for lowering the rest of “Lacey Lady” off the poles. Warbirds News will be sure to let our readers know when this happens. Anyone wishing to help out the project should visit their website. ( switches) for the control panel if one is needed for your restoration.